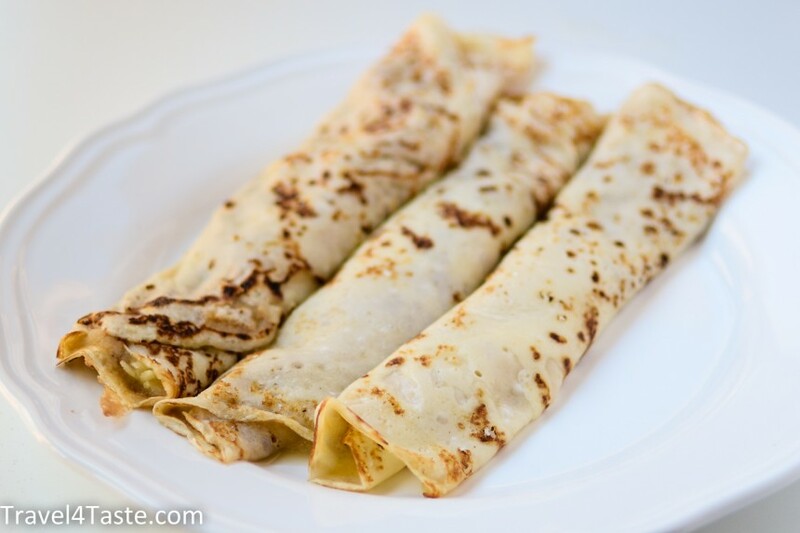 Here is our Autumn version of Polish crepes: with Applesauce and cinnamon. Soft, comforting, and beautifully aromatic! 1. Mix all ingredients (you can use a blender). 2. Heat up a little bit of the oil on your frying pan. When very hot, pour a portion of the batter to form a thin crepe.Fry on both sides for about one minute. 3. These crepes are very soft (it’s why I love them so much). It might be difficult to turn them on the other side. Before you try flipping it, make sure the first side is already done enough (it should be golden). A large spatula is also very helpful. Often first crepe is the most difficult. If the second crepe brakes also, you might add a bit of flour to your batter. But don’t add too much because your crepes will lose their softness! 4. 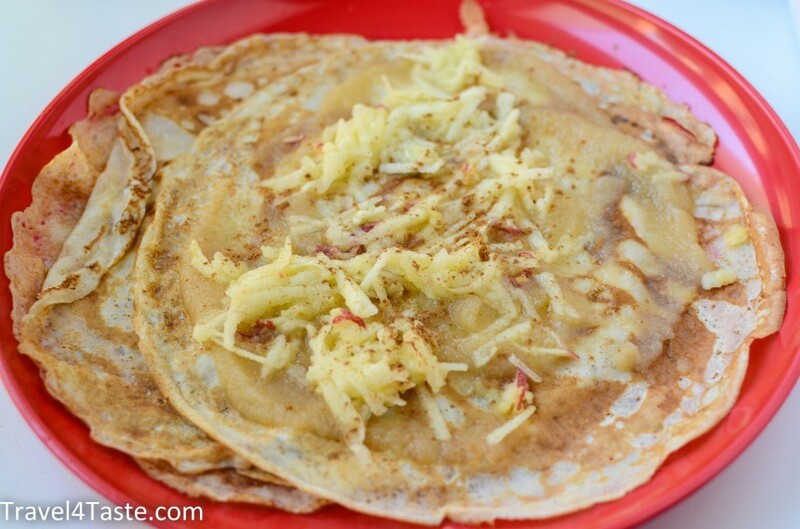 Top the still warm crepes, with some apple sauce, grated apple & cinnamon. Wrap it all together. This entry was posted in Breakfast, Dessert, Eggs, Fruits, Poland, Sweet Breakfast. Bookmark the permalink. I love all the travel recipes you’ve compiled. One thing that would make it easier to make these recipes is if the measurements were in cups and ounces instead of grams, mls, etc. Just a suggestion. Thanks!